Pinterest on Wednesday infused more machine smarts into its online bulletin boards, pushing harder into e-commerce by enabling people to use smartphones to identify products they might wish to pursue. A test version of "Lens" lets people take pictures with smartphones from inside Pinterest applications, which then uses "visual search" to find similar items or themes playing off objects of desire. "Sometimes you spot something out in the world that looks interesting, but when you try to search for it online later, words fail you," said Pinterest co-founder and head of product Evan Sharp. "We've developed new experimental technology that, for the first time ever, is capable of seeing the world the way you do." Lens search results also displaying ways they might be used. For example, taking a picture of a clock might get search results that include it as part of room decor. Pinterest also introduced a "shop the look" feature that lets people tap on circles on items in pictures, such as clothing or furniture, to explore or shop. An Instant Ideas feature lets people tap on a circle in the bottom corner of a "pin" will also lead to search results focused on similar ideas or concepts. 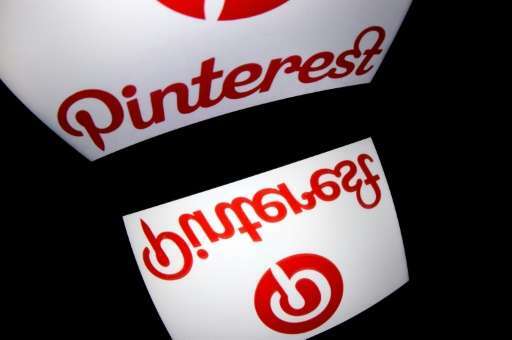 Pinterest said that it has more than 150 million users, with some 80 million of its "active Pinners" not from the US. Last year, the company unveiled new features to facilitate shopping on the site, as the platform pushes to become an e-commerce hub.